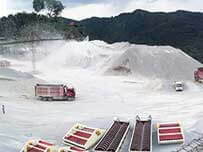 Raymond mill is applicable to the grinding and processing of more than 280 kinds of non-flammable and non-explosive materials with hardness less than 7 and humidity less than 6% in mining, construction, chemical industry and metallurgy, such as barite, calcite, feldspar, talcum, marble, limestone, clay, glass. The fineness of the finished product can be adjusted from 100 mesh to 325 mesh according to requirements. 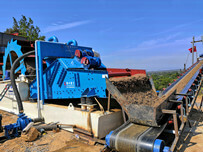 load the stuff for grinding evenly and continuously into the grinding chamber of the main frame. Due to the centrifugal force in rotation, the roller swings go outward and presses closely upon the ring. The shovel carries the stuff to the space between the roller and ring. 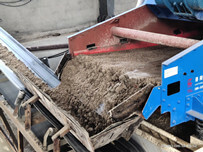 When the roller rolls, the stuff is thus grinded.After being grinded, the stuff is to be routed to the classifier along wind belt of the blower and the rough powder will be put back to the grinder for regrinding. 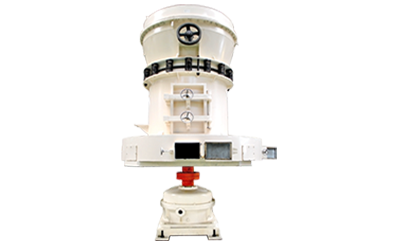 The fine powder flows into the cyclone collector together with air flow and is expelled from the powder output pipe as product. In the grinding chamber, since the stuff contains moisture to some extent, the heat generated during grinding makes the moisture evaporate; since the pipeline joints are not airtight, the external air is sucked in and the circulation air mass increases. In order to enable the grinder to work in negative pressure, the increased air flow is guided to the deduster and sequentially to the atmosphere after purification. 1. Raymond mill is vertical and takes small room. 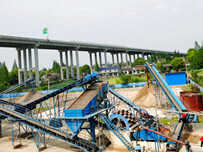 It is an independent production system from feeding material to final product. 2. Fineness of final product is even and the passing rate can be up to 99%, which is incomparable by other mills. 3. The transmission device of the main frame uses close gear and pulley, which runs smoothly and stably. 4. The important part is made by qualified steel and wearing parts by high qualified wearable material. 5. As the electric control system is centralized, no people are needed in operating room, and it is easy to maintain.